The Gorge bouldering experience is one that always surprises me. We’ve had some extreme weather here in the Columbia Gorge just outside Portland but that hasn’t stopped a lot of us from going out bouldering or climbing. The Portland bouldering scene is improving greatly. 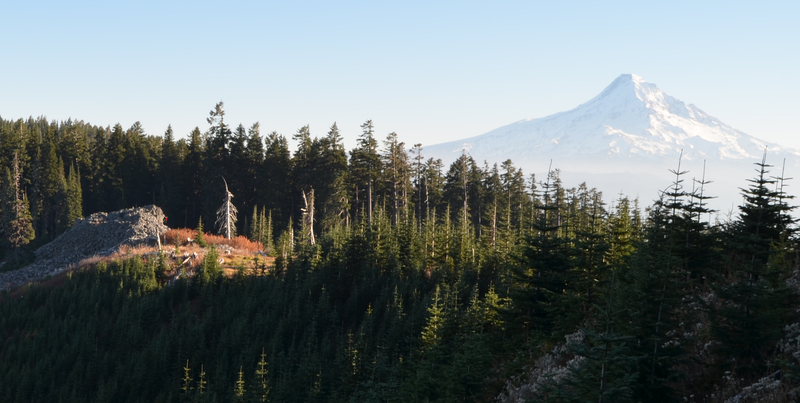 The past few weeks has brought a group of us to explore new areas, clean frozen mosses, get dust in our lungs from cleaning, and most of all have an awesome time. True, the stinging numbness in my fingers I would rather pass off to the ripping pain of skin being rubbed off from sending but the energy of exploring the beauty of the Gorge provides a similar but different rush. These past few months cold has lead to the development of the Labrynth (more about that later), a new area with surprisingly-good-quality lines. Let’s rewind a bit though as it’s been a while since I’ve added a blog post. Last fall, just before enough snow fell near Mt Hood, making some roads impassable to the upper boulders above Hood Rivers West Fork, a few of us went out to send some new projects at The Wave feature near the summit above the West Fork Boulders (you’ll have to enlarge the Wave photo to see the climber under it). The Wave feature is a long stone overhang with individual boulders that make up the crest, from a distance it looks amazing but unfortunatly does not have as good of quality of movement that I would like; still a fun diversion though. It’s really the boulders behind and adjacent to the Wave that we come for though. 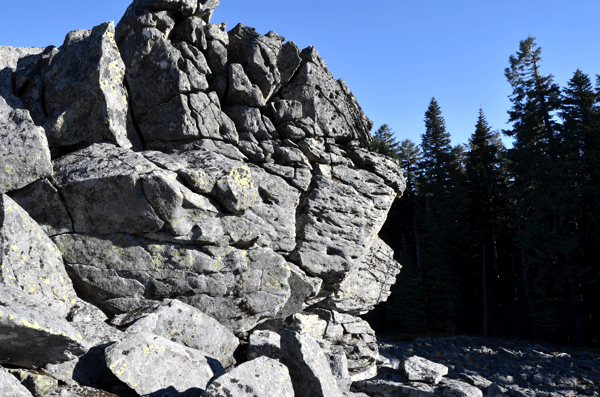 The field of boulders below the wave and on its flanks have some pretty nice problems. I made some progress on the Pinnacle Project that hasn’t gone yet on one of the higher boulders. It was a great day out but I will have to wait until spring to get back, unless I bring skis that is. 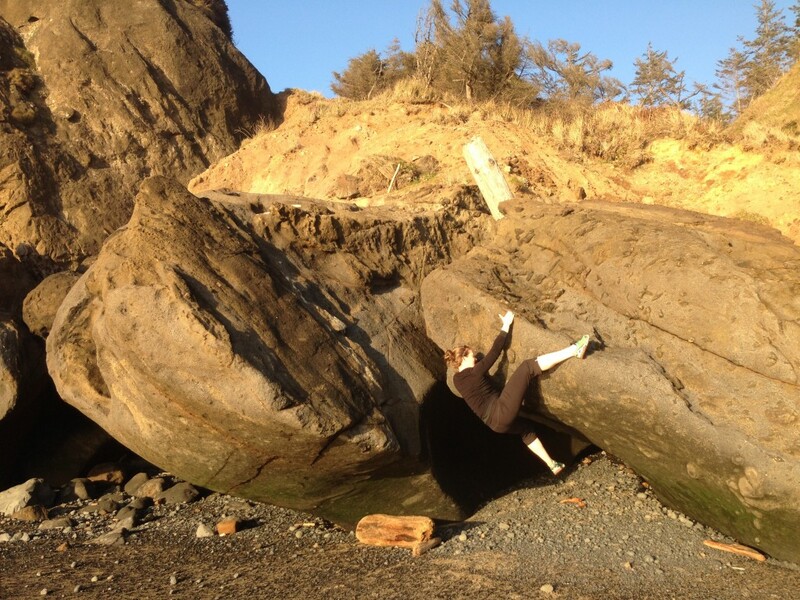 Even though we have had a stint of cold temps, some warmer days made it possible to get out to the Oregon Coast to some good bouldering. 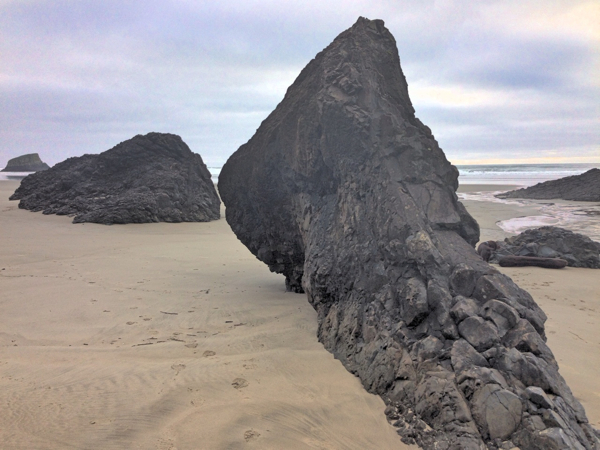 Cannon Beach is home to some relatively well known boulders that people have toyed with for decades. We always make it a point to send some problems in between surfing but went out this time just to send some lines. With problems as hard as V10, and a few projects with harder potential, it’s hard to shrug off the Cannon Beach areas. A lot of interesting places lie along the Northern Oregon coast. A lot of it is chossy but if you check out the Blackhead Boulder you will soon find out about high-quality coastal stone. Sorry I don’t have a picture of BLackhead Boulder or Trickle but it was just too wet to even think about holding onto. The start is just barely imaginable with good purchase let alone a fresh lacquer of sea mist. Trickle in Time is a solid V10 line that utalizes, water-polished feet and similar hands on a wall that is steeper than the breaking waves behind you. The line is tide dependant but almost always open to climb. The super slick start holds almost make you want to do a two-pad campus but some friction is possible and you go for the move, hoping for someting up left. If this problem doesn’t interest you there are plenty of classic hard lines near it. Some of the moderate traverses here are not to be missed, nor amazing lines like Motorcycle Diaries (not origionally named that but it’s an awesome name so it stuck). My friends Christina and Nate got to send some of the classic traverses that in my opinion are some of the best on the Oregon Coast. Besides the hard lines we also headed to the lesser areas of Cannon where we got to choose between odd, jagged-rock spears, overhanging pinnacles, and one of the longest traverses in Oregon, Crescent Traverse. This multi-hundred foot traverse follows blocky terrain through an amphitheater of rock, caves, and sea-cliff. We found a dozen starfish along the length of the traverse after the tide headed out. Cannon is completely climbable in winter months; some days are even as good as summer. We totally lucked out on weather and had an amazing afternoon. 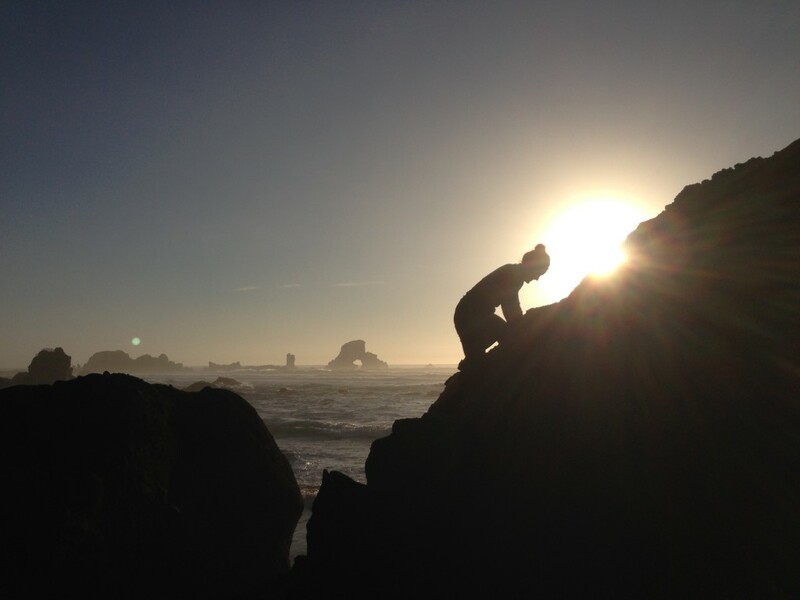 Christina B. rocking out a Sunset Slab. If anyone wants beta on these spots, just send me an email, hopefully you will luck out with a fantastic day like we did. 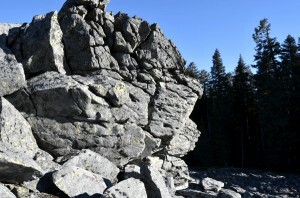 Posted in Pacific Northwest Bouldering Blog, Portland Bouldering.